The Covenant mission is the most ambitious endeavor in the history of Weyland-Yutani. A ship bound for Origae-6, carrying two thousand colonists beyond the limits of known space, this is make-or-break investment for the corporation-and for the future of all mankind.Yet there are those who would die to stop the mission. As the colony ship hovers in Earth orbit, several violent events reveal a deadly conspiracy to sabotage the launch. While Captain Jacob Branson and his wife, Daniels, complete their preparations, security chief Daniel Lopé recruits the final key member of his team. 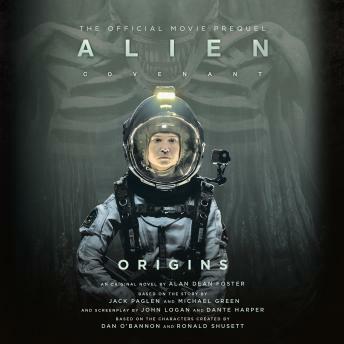 Together they seek to stop the perpetrators before the ship and its passengers can be destroyed.An original novel by the acclaimed Alan Dean Foster, author of the groundbreaking Alien novelization, Alien: Covenant Origins is the official chronicle of the events that led up to Alien: Covenant. It also reveals the world the colonists left behind. Good for people who just want abit more detail into the life of some of the main characters of the covenant. Otherwise, it’s a redundant read. I just got it because I’m a fan of the franchise.